Do you regret getting a tattoo? 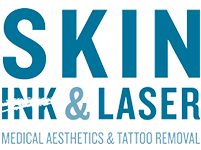 To remove unwanted tattoos, men and women in Fayetteville, Arkansas rely on the expert nurses and estheticians at Skin Ink & Laser. With the PicoSureⓇ advanced laser method, tattoo removal is fast and safe. Call the office today for a consultation or book an appointment online. PicoSure is an innovative laser technology that is used specifically for the removal of tattoos and other skin lesions, like acne scars or freckles. The name comes from the way the laser delivers repetitive, ultra-short pulses of light energy in picoseconds, which is one trillionth of a second. PicoSure focuses bursts of pressurized energy directly on the tattoo. The concentrated pulses of light cause your skin cells with pigment to heat up quickly. The thrust of heat explodes the tattoo’s complex colors into tiny particles that your body sheds through your lymphatic system and natural elimination processes. Does PicoSure work on all tattoos? Compared to other lasers, PicoSure requires fewer treatments to achieve complete removal. Usually, the aestheticians at Skin Ink & Laser recommend four to six sessions to remove an average tattoo. Each appointment is about 30 minutes. The staff members at Skin Ink & Laser schedule your sessions about six weeks apart to give your lymphatic system time to expel the pigment in your tattoo. The number of appointments you need depends on the depth of color, size, and location of your tattoo. When you come in for a consultation, the nurse will customize a treatment plan for you, so you know what to expect. Does PicoSure tattoo removal hurt? The concentrated light energy that PicoSure uses to shatter the ink produces momentary high temperatures. The nurse or aesthetician applies cooling anesthetic to keep you comfortable. Most patients say the discomfort of the removal process is equivalent to getting the original tattoo. What happens after PicoSure tattoo removal? There’s no downtime associated with PicoSure. You can schedule a session on your lunch break and return to your normal activities immediately. You may be red and slightly swollen at the tattoo site, but it subsides quickly. If you’re ready to get rid of an unwanted tattoo, depend on the team at Skin Ink & Laser. Call the office for a consultation or book your appointment online.